Hi, I'm Cristina Vintimilla, a junior studying journalism in the Lawrence Herbert School of Communication. This semester I'm interning in New York City for the first time, something I've dreamed of doing since my freshmen year. I'm currently a Fashion Editorial Intern at Stylight, an online fashion website. The office is located in my favorite part of the city - Soho. The streets are filled with small, trendy boutiques and Instagram-worthy cafes. I travel into the city three times a week and take classes at Hofstra on the other days. Fashion is something I've always been interested in, and this internship has allowed me to get a closer look into the industry. 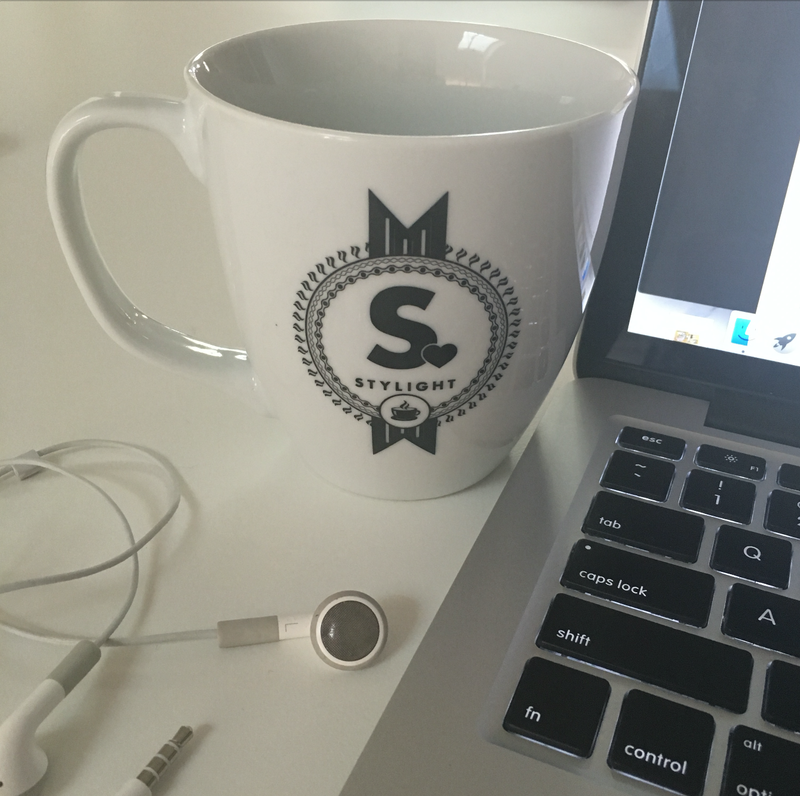 A typical day at Stylight consists of a morning editorial meeting, where we discuss what topics we'll be writing about that day. Then, sometimes I'll make myself breakfast in the kitchen, typically milk and cereal, or walk straight to my desk for a day filled with writing. Throughout the day I write fashion shopping guides for the website, which are meant to inspire and entertain readers as they shop. My topics vary from "4 Reasons to buy a North Face vest" to "How to Style Western jackets" and "Different Types of High Heels." I'm so grateful to work with an amazing editor who helps me with my writing along the way. I receive instant feedback on my articles, which helps me learn about myself and improve the quality of my writing. My favorite part of this internship is our weekly Friday meetings. Stylight's headquarters are in Munich, Germany so we use Google video chat to communicate with our international colleagues. As a team, we sit on the couch and participate in the meeting using a webcam. 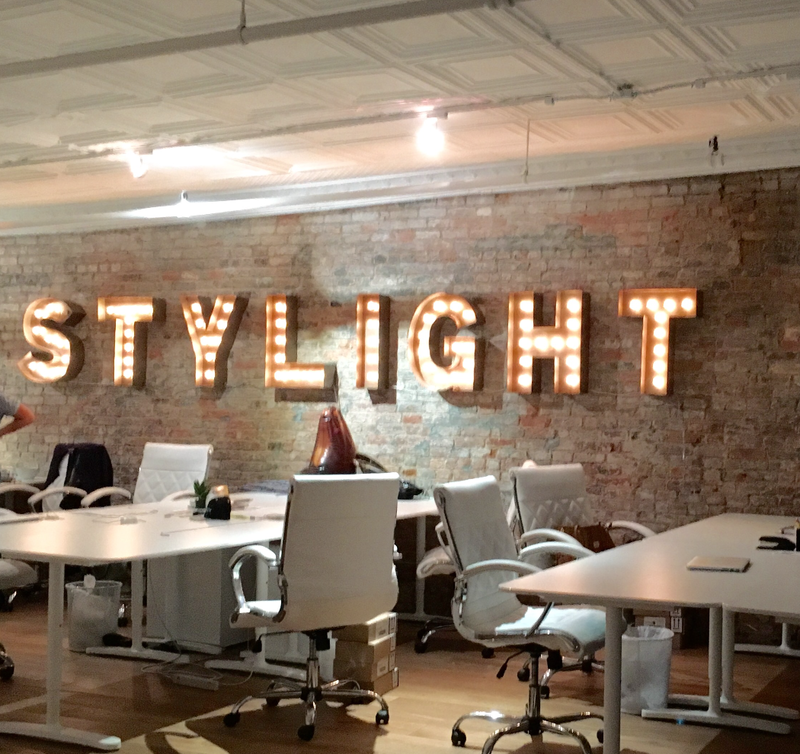 This is when all of the departments at Stylight including marketing, business development, engineering, public relations etc. share their thoughts for the week. I find this so interesting because I get an inside scoop on what's happening in Munich. I'm an open-minded person and learning about the different departments excites me and makes me realize how important each department is in making Stylight succeed. Getting this internship was possible due to the experiences I got as a student writer for Hofstra's online magazine, HerCampus and of course, the proximity to New York City. I plan on doing a lot more internships, and I'm excited to see what's next. As of now, I will be studying abroad in Amsterdam during the Spring 2016 semester, so I will keep you guys updated from there!